It is my quest to discover new wineries, especially those off the beaten path. During a trip to Charlottesville, I noted winery signs to Prince Michel winery. This winery is located along Route 29, between the Virginia cities of Charlottesville and Culpepper. Prince Michel is a beautiful winery offering wine tasting, tours and wine themed suites for overnight guests. My visit was during a weekday and during a snowstorm in Virginia as there were only a couple of customers. I cannot speak about the weekends or summer days, but I’m sure this location has a loyal crowd. The tasting room presented a welcoming and enchanting atmosphere, which coupled with a knowledgeable wine pourer, made this a pleasant visit. The wine tasting rooms offers several varieties of wine flight tasting, to include Fine Fines, Premium Wines and Rapidan River Sweet Wines. I decided to have the Fine Wines and Premium Wines flight tasting. Pinot Grigio: This is a smooth and refreshing wine, off dry, crisp and with a subtle finish. The wine is moderately aromatic with hints of peach. To the palate, the wine tastes of peach, honeysuckle, citrus, along with an oily texture. Viognier: This is a classic Virginia Viognier, with strong tropical fruit aromas, medium sweetness, very smooth, and processed in stainless steel. Very enjoyable aromas! Chardonnay: A very smooth wine, as it is not too grassy to the taste. The wine is buttery, with medium acidity, fruit aromas, and lighter on the palate, also processed in stainless steel. Cabernet Franc: Light purple wine, medium sweetness, medium acidity, and low tannins. Merlot: This wine was aged in American oak; it is a dark purple liquid, with hints of red flowers, dark fruits, pepper, dark spices, and smooth to the palate, low acidity, and low tannins. Merlot-Cab Reserve: This wine was aged in French oak; it is a dark purple blend of merlot and cabernet sauvignon. The wine has hints of vanilla and dark spices, such as black pepper, and it is smooth and not too complex. Cabernet Sauvignon: This wine was aged in American and French oak; it is a lighter purple liquid that is semi-cloudy. The wine has hints of plum and cherry, with medium sweetness, medium acidity, low tannins, and not too bold. Mt. Juliet Petit Manseng: This is a sweet wine with sweet aromas, very buttery, but smooth to the palate. The wine is a mixture of aromas that include tropical fruits and floral hints. I recommend sipping this wine in order to closely examine its complexities. Barrel Select Chardonnay: This is a straw yellow wine, with oaky and citrus aromas, low acidity, but smooth on the palate. Mountain View Cabernet Franc: Unfortunately, the main aroma I detected on this wine was that of cough syrup, specifically cherry cough syrup. Other than that, this wine was aged in French oak; it has medium acidity, medium tannins, and a subtle floral hint such as that of roses. This could potentially be a fault known as brettanomyces, however, it could have been that specific wine bottle. Then again, some wine drinkers love to detect brett in wines. Crown Orchard Cabernet Sauvignon: This is a dark purple wine, aged in French oak, a very complex wine. The dominating aromatic hint for this wine is that of bay leaf, as well as others hints of floral and spices. It is a medium sweet, moderate soft tannins, and medium tartness. Syrah: Aged in French oak; this wine is a dark purple wine, with sweet hints of ripe red fruits, spices, very tart, high tannins, and 100% Syrah grape. A very interesting wine to enjoy! Symbius: This is by far my favorite wine of the tasting! This wine was aged for 27 months in French oak and it is a blend of Bordeaux grapes. The wine is a medium dark purple liquid, very tart, medium acidity, low tannins, and complex and smooth finish. As a complex wine, I highly recommend sipping this wine during a long afternoon. The wine will benefit from further aging and being decanted to allow oxygen to surface the complex aromas. Prince Michel Port-Style Desert Wine: This is a classic port with high alcohol content, but smooth on the palate. Prince Michel Trés Bien: While very sweet, it is friendly to the palate with its strong citrus and tropical fruits aromas and tastes. It has low alcohol content and it is smooth. Think of summer wine during a hot afternoon! As a local resident in Northern Virginia, I’m always excited to visit the annual DC VegFest at the Yards Park in Washington, DC, located next to the Stadium where the local baseball team, the Nationals (the Nats), play. This event is organized by Compassion Over Killing and brings dozens of vendors and hundreds of vegans, vegetarians, or anyone interested in learning more about animal friendly and healthy foods. Best of all is that it's a free event with free samples of food and drinks. Some of my favorite vendors, and to be honest, every other vegan in DC as well, are Vegan Treats, Craft Kombucha, and others. I love to eat biscuits! I love eating biscuits with gravy, biscuits with butter, jelly and straight with nothing else but biscuit deliciousness. If you are in the mood for biscuits, then try this recipe to make fluffy vegan biscuits. A few months ago while visiting New York, I discovered VLife, a Vegan restaurant in the Chelsea area of Manhattan, New York. I had an incredible experience with the food being flavorful and simply put, an easy vegan bite while in Manhattan. As far as drinks, we settled for two Thai bubble teas, which were delicious! Regarding the main entrees, we had the Amazing Avocado, a gluten and soy free wrap; and the Bodacious Burger, which came with a soy patty, tapioca cheese and vegetables. We were also recommended by their staff to try the V-Cheddar Poppers, which were completely unhealthy, but super delicious! Definitely a must try in this restaurant. I decided to go have a bite or two at Imagine Vegan Café while visiting Memphis, Tennessee. I liked this restaurant so much that I went twice, the second time to satisfy my cravings for southern-comfort food, some good ‘ole biscuits and gravy. In essence, everything in the menu is vegan despite some of their non-vegan names or descriptions. This is a restaurant that must be visited several times to be able to enjoy the large amount of food items in the menu. So when I go back to Memphis, I will go back to Imagine Vegan Café and sample more vegan food and so should you! If you are in the mood to enjoy a vegan atmosphere and delicious food with a hint of Memphis, then make sure to visit Imagine Vegan Café. During my recent trip to Memphis, Tennessee, I stopped by The Crazy Noodle, a Korean-style noodle shop located in Midtown Memphis. We had the Veggie Jeon (be sure to ask for it without eggs), and then for the main course, we had the Vegetable Ramen and the Miso Ramen. Truly delicious! All in all, this was a fantastic place to eat, chat, and enjoy some good Memphis-style ramen. I recently drove by Cincinnati and decided to do a simple search looking for vegan eateries in or around Cincinnati, Ohio. To my surprise, one my search options was a Loving Hut, one of the worldwide chains of vegan restaurants. After perusing the menu, we ordered the grilled Spring Rolls, grilled dumplings, the Vegan Macaroni & Cheez, Vegan Sloppy Joe, the Japanese-style Udon noodles and the gluten-free house salad. By far, my favorite item was the Vegan Macaroni & Cheez, which was simply delicious! We almost worried it was the real thing, but then we came back to our senses and realized we were at a Loving Hut and thus vegan food. I recently stopped in Minneapolis-Saint Paul International Airport as I was catching my next Delta flight to Washington, DC. I should point out this was dinnertime and with an already delayed flight, I was dreading my next meal. I went to a nearby bakery looking for bananas or something that I could munch on for dinner. I was quickly in disbelief as I discovered this unimposing bakery with several clearly marked vegan items in their menu. Need that last sparkle of sunshine before the cool beauty of Autumn arrives? This zesty cookie recipe will have you smiling like a ray of sunshine on a rainy day. You’ll be savoring one of these delightful cookies in less than 20 minutes. Earlier this morning I visited our local farmer’s market, the Wellness Connection Farmer’s Market, which is located at the Gum’s Spring Library parking lot. 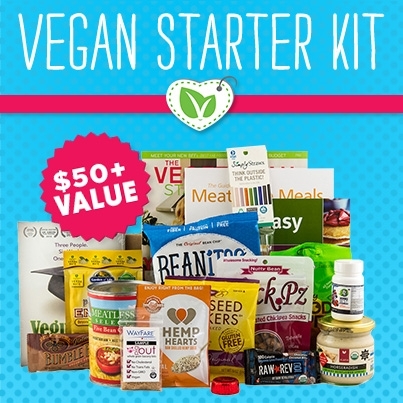 Since this a vegan blog, I went on a mission looking for vegan friendly products. As this is a small farmer’s market, I managed to find four vendors offering vegan friendly products. This is a perfect vegan hors d’oeuvre for when you have guests. The recipe uses fried plantains (tostones), tofu, avocado, black beans and polenta. The recipe should take about 20 minutes to prepare and about 10 minutes to cook. The recipe was inspired from a recipe submitted by angloesque via allrecipes. Wine pairing: If you plan to pair this recipe with wine, please omit the garlic from this hors d’oeuvre, as it will take away from the wine experience. I recommend a white wine, such as a dry Riesling, a white Zinfandel, a Gewurztraminer or a Virginia Viognier. Like I said, stay away from the garlic on this one! One thing I have learned about tasting wines is not to judge one by the bottle or in this case by the screw cap. I understand that corks carry an elegance that almost fools the mind into thinking the liquid is already going to taste like a better wine. Well, I have been conditioned to prefer corks; however, I knew I couldn’t judge this Argentine Sauvignon Blanc from Bodegas Santa Ana by the screw cap. And of course I did not travel to Argentina to acquire this wine, but rather purchased this bottle at a nearby Total Wine, which carries wines from Bodegas Santa Ana and Mascota Vineyards. A fellow vegan at Bodegas Santa Ana informed me their wines are clarified with bentonite, which makes this Sauvignon Blanc a vegan wine, a veggie wine or vegetarian wine, depending on your term of preference. The 2013 Sauvignon Blanc from Trump Winery is an excellent wine...as I'm sipping this wine away, I can only think about buying more bottles to keep a stock in the cellar. This wine is easy to drink and will attract both the wine curious and the connoisseur. The best thing is that this is a vegan-friendly wine since it is unfiltered and fined with bentonite. I am writing this post a few months late, however I had to discuss my trip to New York City to the Better Booze Festival back in September 20, 2014. The event was organized by U.S. Veg Corp and took place at Center 548. This was their 1st annual event, with their 2nd event planned for June 13, 2015. In a nutshell, this was an event that hosted vegetarian and vegan tastings from several vendors, which included wineries, breweries, distilleries, and a few food vendors. The 2010 Cabernet Sauvignon by Regusci Winery is a purplish dark and cloudy wine with moderate, but complex aromas. The noticeable aromas include dark fruits such as blackberry and dark plums, raspberries, strawberries, and hints of vanilla. Upon tasting the wine, I discovered the complexity of the wine had to be flavors of vanilla and smokiness, along with spices such as black pepper, cloves and nutmeg. I also detected hints of blackberry and black currant. This is an off dry wine, with a medium-full body and presence of round but medium tannins. The wine is fairly balanced with moderate flavor intensity. I recently discovered vegan friendly wines from a local winery, Trump Winery located in Charlottesville, Virginia. The 2013 Chardonnay from Trump Winery is a crisp, well-balanced wine with a creamy texture. The wine is both aromatic and youthful. This Chardonnay evokes citrus aromas resembling zesty lemon, green apple, honeysuckle, vanilla, melon and grass. At the end of the sip, this Chardonnay will leave a smooth finish with hints of vanilla and citrus. Until the next bottle as I sip this one away! Moscato wine by Deccolio is certified vegan, Kosher and Mevushal as you can see on the back label. This Moscato is a clear, pale straw-yellow wine. It is a sweet smelling wine with aromas of peaches, melon, honeysuckle and orange blossoms. The Moscato is aromatic, but youthful. The wine has a light body, and is sweet with a crisp acidity. The Moscato is a fairly balanced wine. It has flavorful hints of green apple, honey and peaches with a short and bubbly finish. Rombauer Vineyards is another Napa County winemaker, which in my opinion produces excellent wines from Napa grown grapes. On this occasion, I had the pleasure of tasting their 2012 Zinfandel. The aroma intensity was low and youthful with hints of dark fruits, blackberries, some red fruits, red currant, and dark plum. This Zinfandel was an off dry wine with medium body, flabby acidity, and overall moderate intensity. Regarding flavors, I detected a slight sweetness almost like a black jam, some clove and oaky-vanilla spices. Along came a medium finish about four seconds average for each sip. The aromas and flavor intensity were moderate at best, and I highly recommend decanting or airing the wine as it can almost be described as a semi-closed wine. The 2012 Cabernet Sauvignon from Rombauer Vineyards is a dark and slightly hazed purplish wine. The wine showed a noticeable and intricate formation of legs around my glass, so yes it does have legs. It has a moderate aromas, and noticeable spicy tones. The wine has aromas of blackcurrant, red pepper, blackberries, blueberries, hints of vanilla, subtle aromas of dark leafed tobacco, and very smoky oak tones. Did I say it has spicy tones? This is a balanced and spicy delicious wine! Yum!! !